Yes, I’m sure you might have heard this phrase recently at your local restaurant or fast-food chain. Diet sodas have come a long way from their evolution back in the 1950s and are commonly a known favorite in today’s market. 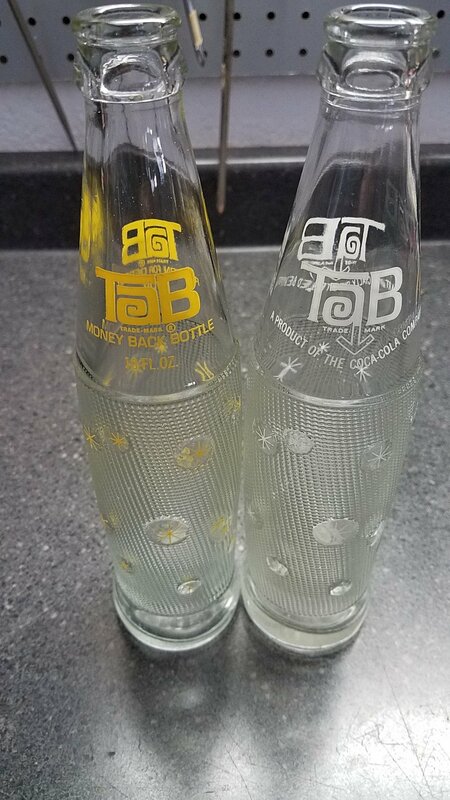 With the great history both good and some bad of the diet soda world, the aftermath has provided a great array of soda collectables. Let’s describe what a “diet” soda is. Most cases a diet soda is marketed as either a sugar-free, reduced or zero calories of the standard soda. In order to achieve this outcome, most contain a type of artificial sweetener or flavor such as Saccharin and recently Aspartame. As you might know, this is where the diet sodas have gotten a bad name. We will expand on these chemicals in a little bit. Here are some of the main historical points of diet soda brands. -1952 Kirsch Bottling in Brooklyn, NY released a sugar-free Ginger Ale named “No Cal” and its purpose was originally for diabetics and not focused on dieters or folks trying to lose weight. This was only distributed in that local NY area. But later then Kirsch turned their marketing plan and started to focus on the diet market as you can see below in this advertisement. -1958 Royal Crown was next up with advertising their diet soda “Diet Rite” As you see on their bottles, this was commonly label as a dietary beverage with no sugar added and less than 1 calorie. 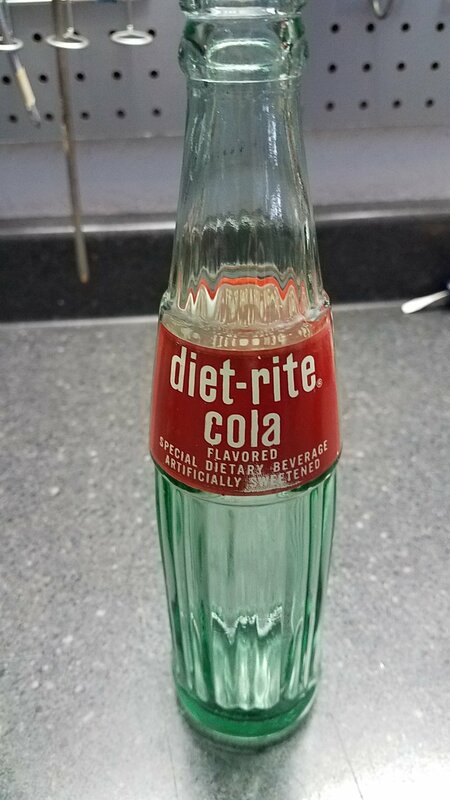 Diet Rite soda is still being produced today via Dr Pepper Snapple Group. -1960s was a huge decade for the release of diet sodas. Brand names like Tab (Commonly referred as the 1 Calorie Soda” and Fresca from Coca-Cola. Patio Diet then Diet Pepsi from Pepsi-Cola. An off brand of Diet 7up under the name of Like was also released and then later discontinued in the great year of 1969 (my birth year) due to the ingredient cyclamate. 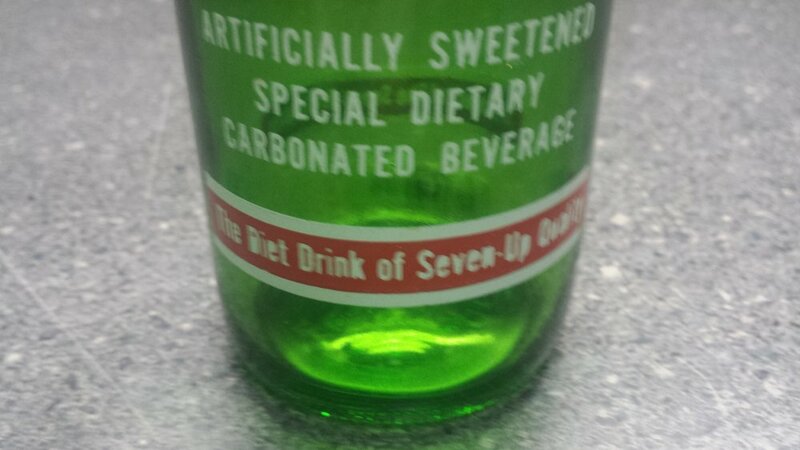 This was later removed and released as Diet 7up in the 1970s. -1980s The diet soda market really took off here with releases of Diet Coke, Pepsi Free and many other brands. During this time period, the popular sweetener Aspartame was also introduced. Aspartame- Commonly known by the brand NutraSweet was recognized mostly with the release of Diet Coke in 1982. This artificial sweetener continues to be a leader in the industry. Cyclamates- Used in the 1960s, but later banned by the FDA due to evidence of causing Cancer. Saccharin- Used in the 1970s, and referred to giving a chemical type taste. Saccharin was later banned and recognized as a carcinogen. Some other recent sweeteners also used insoda are Splenda, and Stevia. Older Post“Commemorative” But what is it really worth?